Don't leave this gift behind. Event Movie Gift Cards. Any Movie, Anytime. For the person who has everything... 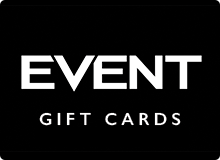 Event Movie Gift Cards. Any Movie, Anytime.